Getting Crafty with Jamie: Ring in the Summer... with Ring Pops! 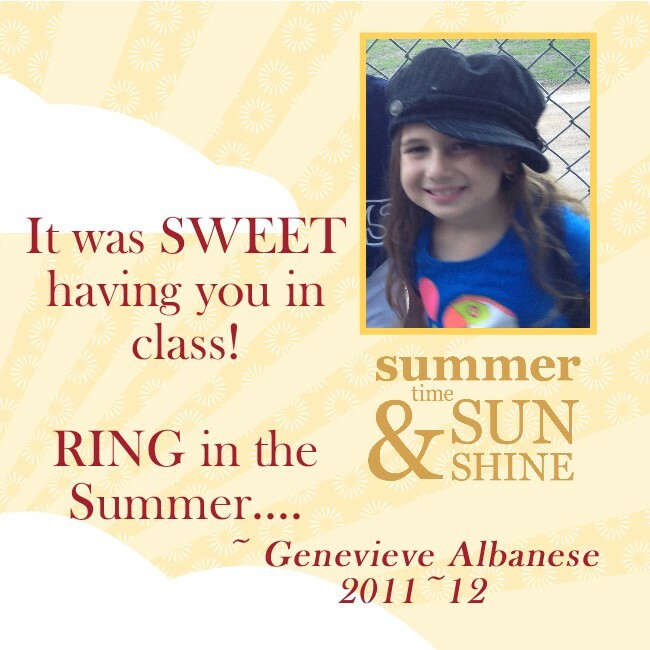 Ring in the Summer... with Ring Pops! When you are a busy mom of 6... you struggle with 'getting creative' at times.. and I was pretty proud of how great this lil attempt came out! Using our My Digital Studio, in addition to stampin' this cute 'Sun' that has a Hot Air Balloon soaring across it (Daffodil Delight paper and Cherry Cobbler ink) and I sponged the edges of the sun with the Cherry Cobbler to add some depth.. I LOVE how this came out! I used Stampin' Dimensionals and made each layer POP and made the lil tag adhere to the Ring Pops! With My Digital Studio... it was quick, easy and printable at home (or at school - thanks Mrs. E... when my ink ran out!). I LOVE how MDS made me look like Martha Stewart!